The gloriousness of antibiotics that knock you out for the whole night! I woke feeling semi-human again. It really is amazing what a good night’s sleep at 5000 metres can do. The other good start to the morning was that we woke up to a winter wonderland! It had snowed quite a bit overnight and it was still snowing lightly and our tents were weighed down with the weight of the snow and upon peeking outside, this glorious white mountain wonderland greeted our sight. It was truly beautiful. And cold! Soon, Adrian our guide, was knocking on our tent flap offering us hot water for a nice cup of tea. This rest day was really working for me already! With the snow still falling outside, no one was getting up to venture out and so we spent the early morning snuggled up in our cozy down sleeping bags. One of our team mates came to visit and came inside for a while for a chat. It was lovely to have her company but all too soon she left again to return to her tent. Minutes later she returned, crying. Emotions were running high this morning in camp, the reality of mountain life being felt by everyone. This was the 2nd team-mate to break down this morning and it wasn’t even 9am yet. Later I heard of a 3rd team-mate who got teary too. We all missed our loved one’s back home. The comforts of having encouraging words from those we love, maybe a hug, or maybe even just to hear them say hello. It’s hard to explain but the feelings hit you hard when they come and everyone feels them at some point or another while on these journeys. But we had an amazing team and in the absence of our loved ones we all offered a hug, support and a kind word in return. At the end of the day anyone can get into physical shape, but you have to be mentally tough to survive weeks in such harsh conditions. At high altitudes, your body lets you know what’s going on, and it is always important to listen. Early morning view from our tent. It was still snowing outside and there was not a single change Judi and I were getting up. Today was a rest day after all! A cold, snowy morning at Camp 1. 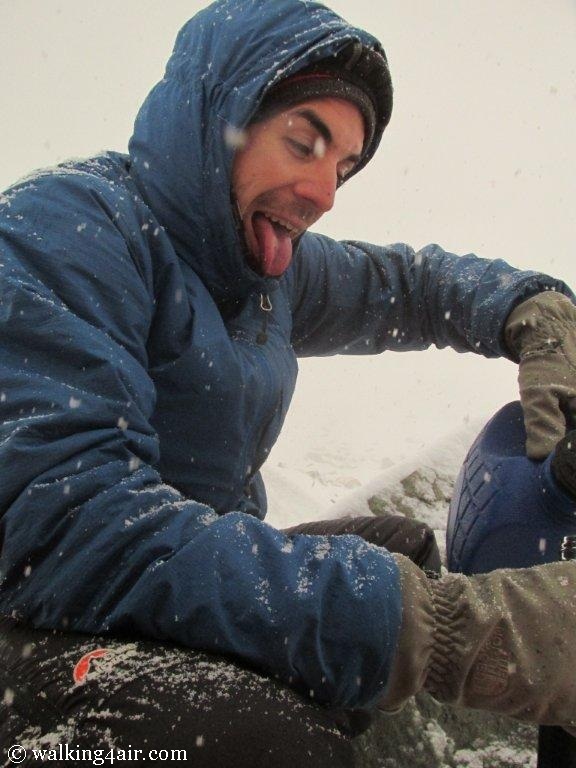 Bruno filling up our flasks with hot water outside our tent in the falling snow, while we lay snug in our sleeping bags. Later, it was my turn to have those feelings hit hard. After the snow stopped and the sun came out we all ventured outside to breathe in the air at this new altitude and get our bodies acclimatised. Some of the team just sat in front of their tents, others sat on rocks enjoying the sunshine as they read or wrote in their journals. I too sat on a rock in the sunshine, writing in my journal. A while later a few of us standing leaning against a rock were chatting and Ronnie kindly offered his satellite phone to us to phone a loved one back home. Judi and Lisa snapped up the offer to phone their loved ones. Ronnie then handed me the phone asking if I wanted to phone someone back home. I desperately wanted to and instantly the tears stung my eyes and the lump in my throat rendered me speechless and all I could do was cry. I longed to phone a loved one back home but I had left my mobile phone at Base Camp along with the rest of my luggage I thought I didn’t need on our summit push. I didn’t know the mobile number as in today’s technology we don’t need to memorise numbers of loved one’s because we conveniently just select a name and push dial. I was devastated but there was nothing I could do. Simon came over and put his arm around my shoulder and squeezed which just instantly brought the tears again. He told me again what an amazing job I did yesterday. In those moments I was so grateful to have Judi and Simon, my Kilimanjaro team mates, with me again on this Aconcagua trip. The three of us have special bond from our time spent on Kilimanjaro. Although my loved ones were far away, half way across the world, I had these guys and although the feelings for so many of us today were so raw, it helped having beautiful souls around. Thankfully the day got better and in all ways we all started feeling stronger. As the sun warmed the earth, the snow started melting again and like a solar panel, the sun’s rays began to re-energize me. My cough was still my constant companion and I still didn’t feel well but the antibiotics were already beginning to work their magic and I knew if I rested today I would begin to feel stronger again. I thought long and hard to myself if I had really trained for all these months, carrying 15kg’s of weight up and down local peaks during the early morning hours, just to be taken down by a chest infection? I had prepared so hard for this climb and had taken every possible precaution, but here I was nursing an aching body, sore lungs and a head that still felt like it wanted to explode. I could only hope for the best, to see how the antibiotics helped and how quickly my body could recover at this altitude. More than ever I was so grateful for the rest day we had today. 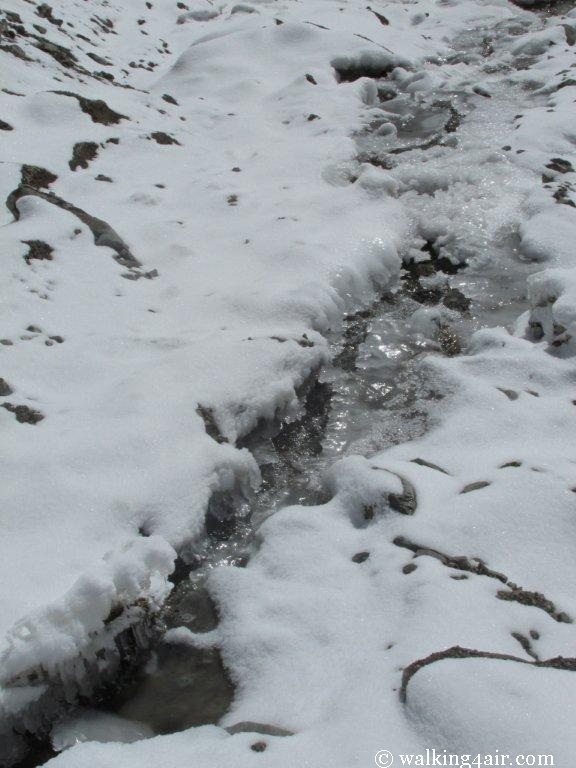 The frozen stream where we had to get our water from. Needless to say it was ice cold! 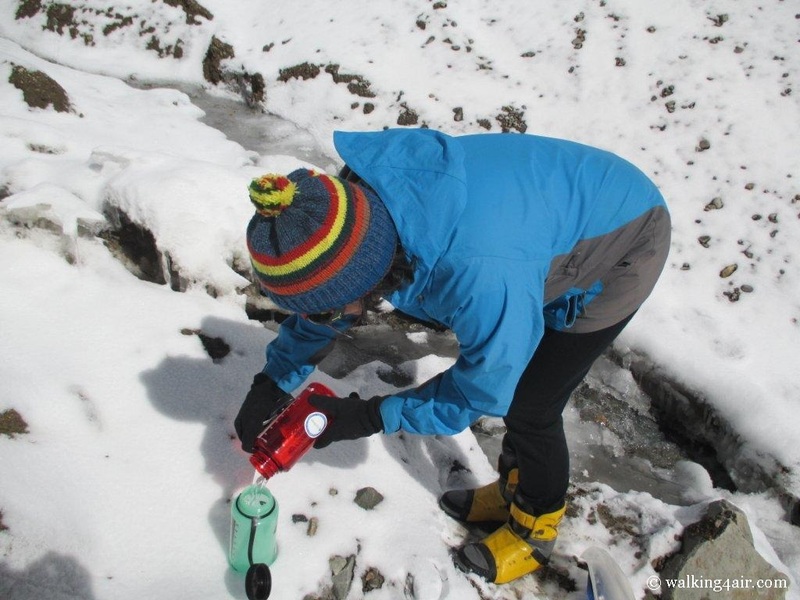 Judi braving the frozen stream to fill up our water bottles. After lunch, the decision was unanimous, what better way to spend the afternoon than playing monopoly of course! Armed with Simon’s M & M’s 6 of us crammed into Simon and Daniel’s tent and we hauled out the cards. 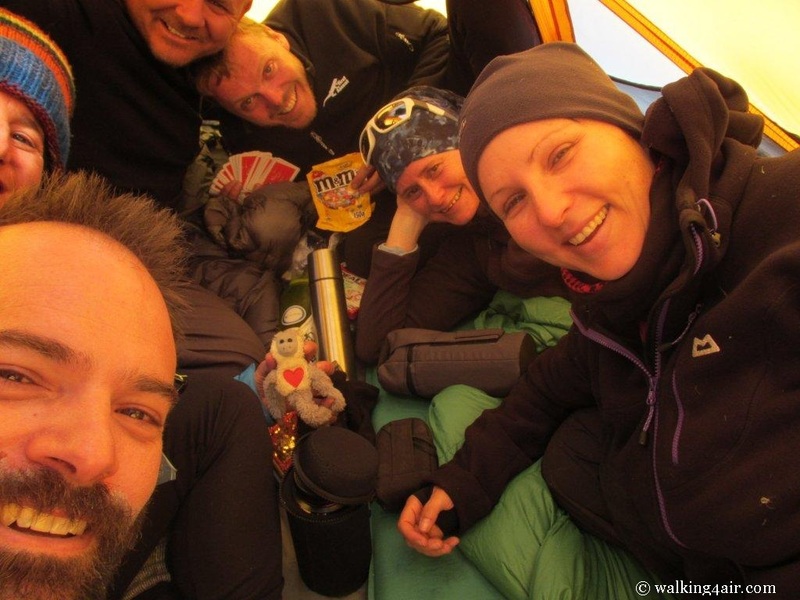 After a rough start to the morning, soon we were all laughing, scheming , wheeling and dealing in the tent high up on a mountain at 5000m. Our snow boots off and cramed into the tent, it was time to play Monopoly. Six team mates crammed into a tent, playing Monopoly. One of the best afternoons ever, thanks for the great memories guys!! Our itinerary from here on out has changed quite a bit. 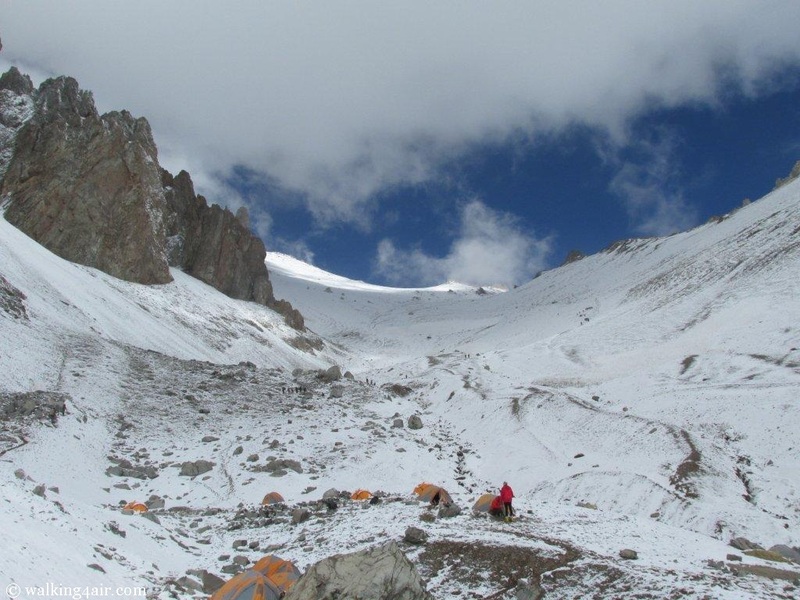 Tomorrow we should have done a load carry up to Camp 2 and then returned to sleep at Camp 1 again but due to severe weather coming in, we have decided to forgo our carry and acclimatisation hike to Camp 2 in order to move our summit day forward in an attempt to summit before the bad weather hits. The team is in agreement we want to move forward to have the highest success of summiting. 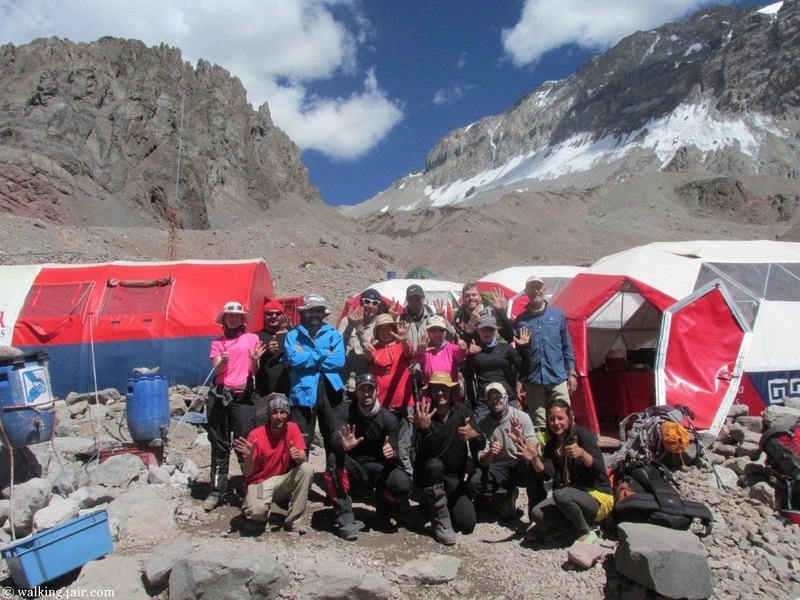 It has also been agreed and arranged that some extra porters will be coming up tomorrow morning to help with the load carry up to Camp 2 in order to help us acclimatise a bit better. We have a steep start to our climb tomorrow, another path that zig-zags it’s way to the top but I’m told it’s not like the climb to Camp 1. I’m grateful for this news and I’m grateful for the porter help we will have tomorrow. I’m hoping for another good nights rest, which I am sure the antibiotics will help with. Today’s rest has been good and exactly what my body needed. I’m positive I will be feeling stronger tomorrow. I’m ready for the next climb. My purpose is my passion. And I know what I have to do. I didn’t think it was possible for me to feel worse than I did yesterday but here I was feeling like death warmed up. I was exhausted after the carry up to Camp 1 at 5000m and I was exhausted after a 2nd night of little to no sleep. My night was spent coughing and trying to breathe through my mouth as my nose was completely blocked. Today we pack up camp at Base Camp and move up to Camp 1, which meant another load carry of 20kg’s each, this time including our tents and all our sleeping gear. I feel like I’m moving in slow motion as I try to preserve my energy as much as possible. Just rolling up my sleeping bag has left me exhausted breathing deeply. At altitude everything takes longer and almost any movement has your lungs heaving for more air. 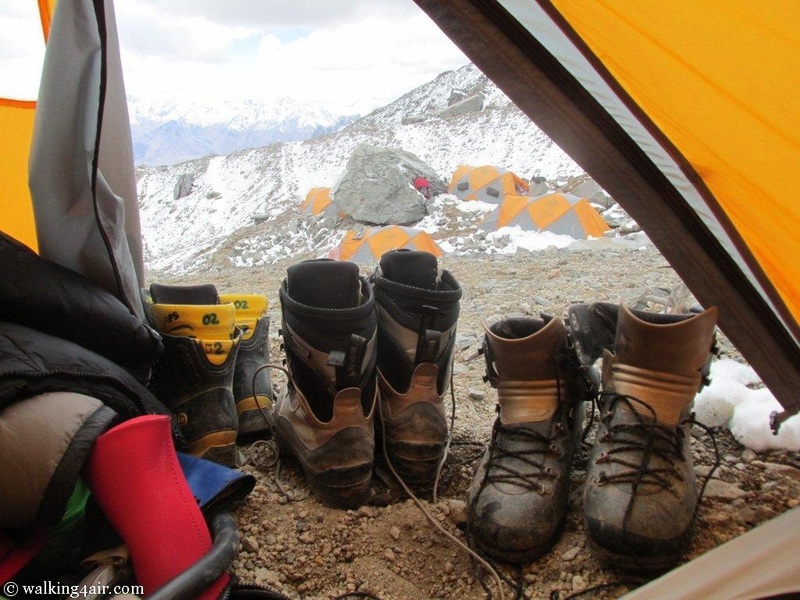 By the time we got to breakfast our tent was neatly folded up and all our gear was packed. My bag was ridiculously heavy and I knew it was over 20 kg’s. I mentally went through what I had packed to check if there was anything I could leave behind. I had no luxuries with me except my journal and a photo of my best friend, who is my inspiration to climb. After breakfast we did final checks and completely unexpectedly one of my team-mate, the delightful Hans, came up to me and asked me to give him some items out of my backpack as they had arrange a porter between the two of them to help lighten their loads and there was still space for some more items. This gesture by my team-mates left me speechless and with a lump in my throat, speaking more than ‘thank you’ was out of the question as I knew tears would flow. I could only hope the look in my eyes would convey my gratitude. With my backpack feeling lighter, now sitting around 15kg’s, I was hugely grateful for the help. It was still going to be hard but every little bit was going to help. With the lack of sleep for the last two nights, and the altitude, I knew I was going to have to be mentally strong to make it through today. ~ According to the photo it was Day 6 and even thought I felt like death, I could still muster a slight smile. Everyone was ready; it was time to set out. I have no choice but to go slow, watching the team move up ahead of me. Judi was just up in front of me. I liked staying behind her as she paced me well. Steve stayed at the back with me, slowly and patiently matching my step. At places where the rock falls were high the team would meet up again so we could move forward together. I only managed to take 3 photos today. I never took a photo of this yesterday and knew it was my last change. 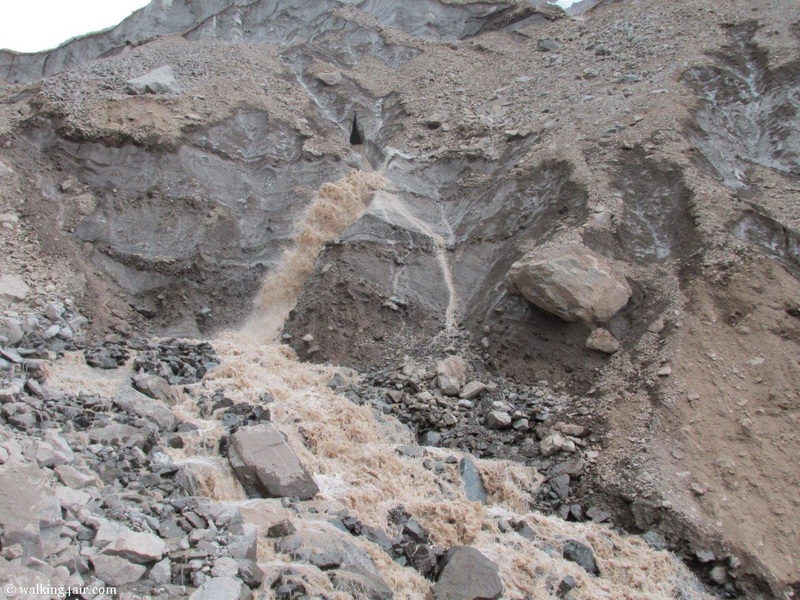 This shows the water literally pouring down the mountain from glaciers and snow higher up the mountain. A sad reminder of what global warming is doing to our planet. Glaciers and snow that has melted higher up the mountain now gushing down the mountain side. This was the last photo I managed to take for the day. As we climbed higher, the weather began to turn quickly. Other team members were starting to slow their pace. The altitude and weight of our backpacks was beginning to take its toll. I’m not sure if the thought of what was still to come higher up on the climb or the fact my body was fighting the flu germs that were ravaging my body made today’s climb harder than yesterday, but I was using every single drop of energy and motivation I could muster to take the next step. 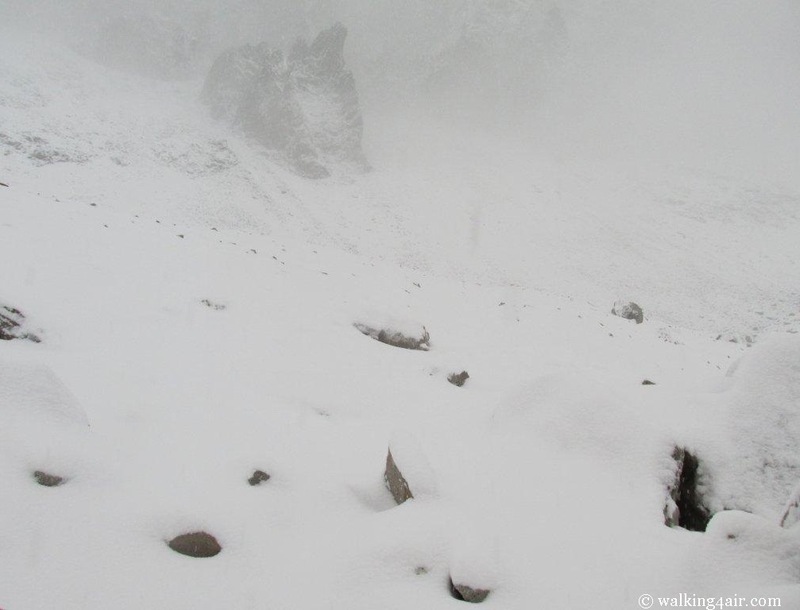 As we climbed even higher, the snow began to fall. Porters from other teams passed us carrying huge loads for their teams from Base Camp to Camp 1. You couldn’t see the look in their eyes because of the sunglasses that shielded their eyes, but the strain on all their faces was testament to what every single hiker was going through today. Feeling emotional, the tears flowed freely behind my today sunglasses. Cure. Cystic. Fibrosis. STEP. Cure. Cystic. Fibrosis. STEP. When the emotions overwhelmed me I focused on my mantra and step. It brought me back into rhythm. It pushed me forward. Cure. Cystic. Fibrosis. STEP. Cure. Cystic. Fibrosis. Everything painfully slow but I knew it was what would get me into Camp 1. The snow began to fall harder, soon covering the ground in white snowflakes. Four of us now walked together. Jake and Judi up front and Steve behind me. The pace was perfect and it was good to have the company even though we hardly spoke except for the occasional, “how you doing over there?” or “you ok?” It was all that was needed really. The scree more prominent now, we began to struggle with our feet sliding back 3 paces for every one step we took. 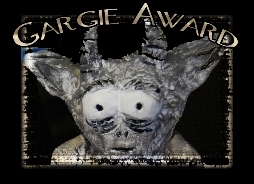 This process consuming even more energy trying to keep myself upright and moving forward. I knew the worst section of scree was still to come. My breathing was hard and loud. My lungs gasping for any air they could take in. 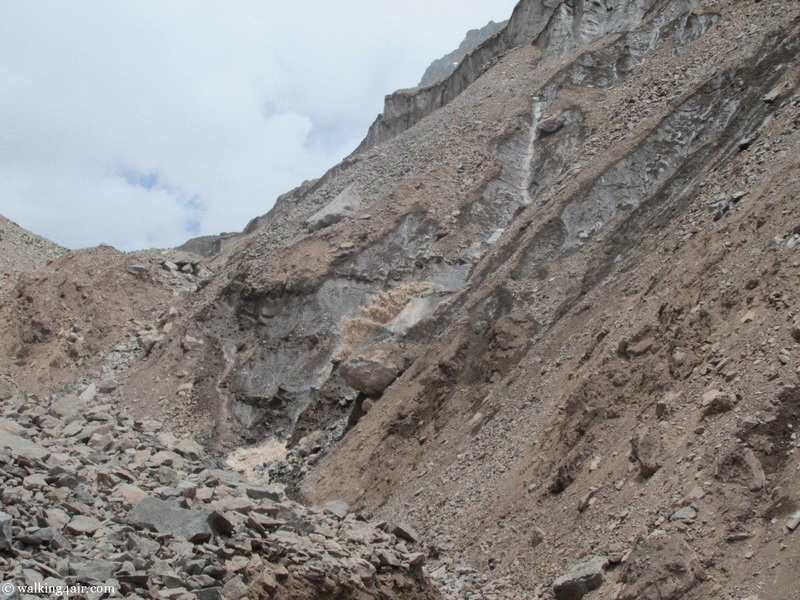 With more teams having done a load carry yesterday and now moving up to Camp 1 today due to the bad weather that was heading for Aconcagua, the scree had become worse than yesterday and it was hard to find a footing that would support the weight of our bodies and our backpacks. I let out a cry of frustration as my foot slipped all the way back down again. I was so exhausted but ever so slowly we inched our way forward. I tried not to look up too often because what I saw up ahead made me want to give up. 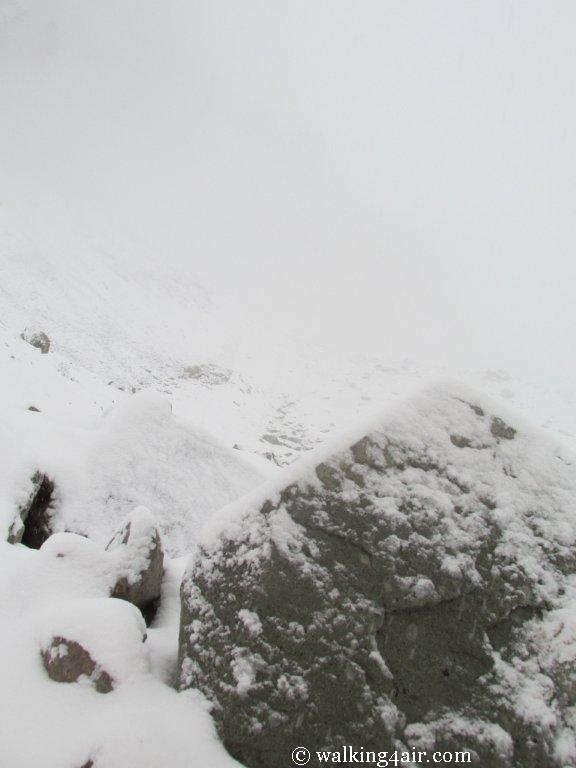 The snow beginning to fall even harder now covering the scree in our path. I looked up to see where the rest of the team was, they were about to climb over the ridge that would take them to Camp 1. Every time my mind drifted I brought my focus back to my step. It was all I could do to keep myself motivated. The tears continued to drop down. Cure. Cystic. Fibrosis. STEP. Cure. Cystic. Fibrosis. STEP. The four of us stopped for a sip of water. With gloves on, this is not the easiest of tasks and again it is the simplest things that sap your energy at altitude. But I knew I had to drink and keep fluids in my body. Slowly we began to inch our way forward again. A short while later as we walked, Steve called out, “see that rock up there, that’s not far away and that’s Camp 1, you nearly there.” I looked up and felt relief flood my body. I was going to do this. With each step I took I slid back as did my two team mates in front of me. A new wave of emotions hit me with each slide back and I gasped to breath. I was so exhausted. The scree sending me back down again and again and again I stopped, unable to take another step. I couldn’t breathe and no matter how hard I breathed not enough air was getting into my lungs. I leaned onto my trekking poles and closed my eyes focusing solely on my breathing. Judi and Jake had stopped too, waiting for me. Steve behind me encouraged me to just breathe slowly and deeply. Jake kept asking if I was okay. I couldn’t answer him as I couldn’t talk. He asked again. And then again. All I could do was focus on breathing. Deep conscious breathes. Then he asked again if I was okay. And I snapped. I didn’t mean to but I couldn’t take him asking me one more time if I was ok when clearly I wasn’t. I could hardly talk and between gasps I shouted back “I need to catch my breath.” I didn’t mean to shout and I felt awful for having done it. I just needed to breathe. After my breathing was lighter I felt strong enough to push through the last section of scree. I knew it wasn’t going to be easy but I also knew Camp 1 was just up ahead. We all turned to face up and very slowly we began inching our way forward again, the scree sending us back down again. Defiant, we tried again and took another step until we had crested the top and Camp 1 was finally in sight. Much to my surprise I see Simon standing at the top as if waiting for our arrival. He welcomes Jake as he comes past. It’s snowing harder now and it is cold and we are all utterly exhausted. But still he waits in the cold. Just up ahead I watch as Simon envelopes Judi in a hug and I can see him saying something to her. I can’t hear what he’s saying as I’m still a way behind. Simon sends Judi on to the camp and our tent. I feel like I am close to collapsing. I look up and there’s Simon, arms wide open and enveloping me in a hug saying “well done, you’ve made it.” A paradox of emotions consume me. Today’s climb was the hardest climb I have done in my life. I have no idea how, feeling the way I do, I made it to the top. With an arm around my shoulders Simon says “come, your tent is ready” and we slowly walk towards it. I mouth “thank you” to Steve who stayed with me the whole entire painfully slow way to the top. My life line at so many moments in the last few hours. I could hardly speak, everything overwhelmed me. After hours of climbing, Judi and I finally make it to our tent, which our amazing guides have already put up for us. We fall into our empty tent. Eventually I forced myself to do the work, and it is work, removing my gloves, boots, and jackets. This alone exhausted me and I found myself gasping for air once again. All I wanted to do was sleep. I had nothing left in me. But I still had to locate all my luggage we had offloaded yesterday and we still had the task of setting up inside our tent. Once all of my luggage was located, I set about blowing up my mattress, desperately trying to fill my lungs with air to inflate it. With each blow of air into the mattress, naturally a coughing fit ensued. Then it was time to unravel my sleeping bag out of its snug fit in the cover. I collapsed on top of my -25 down sleeping bag basking in the satisfaction of another mission accomplished. 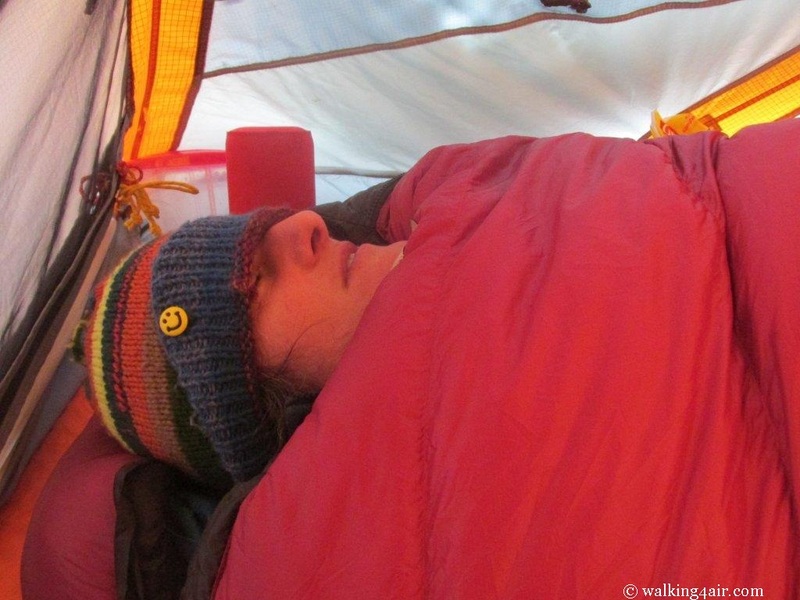 There is nothing quite like the comfort of collapsing onto a puffy sleeping bag after a big climb. As I lay there, I tried to take in the significance of what I’d just accomplished. In no time, I drifted into a sleep so deep I might as well have been unconscious. 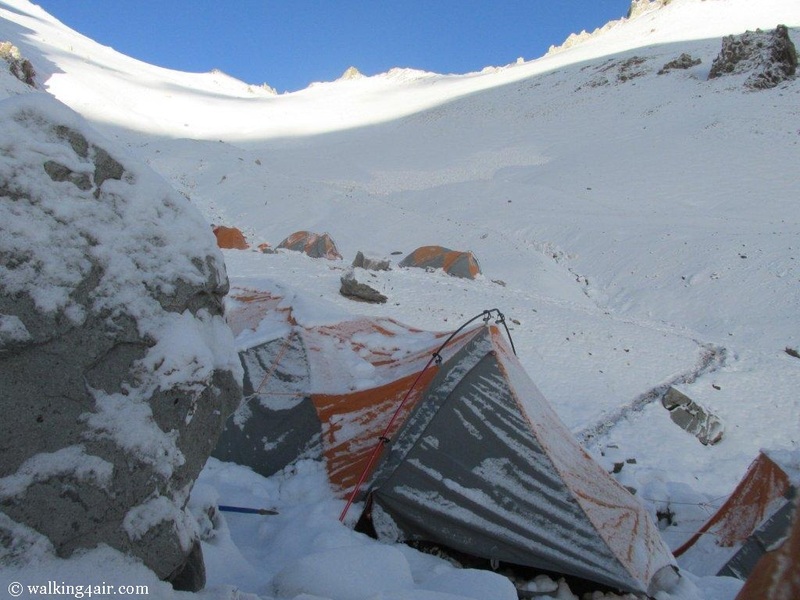 The next time I woke it was a winter wonderland outside in Camp 1 and our guides were at our tent flap pouring hot water into our flasks that Judi had handed them. A nice hot cup of tea was just what the doctor ordered. I started a course of antibiotics tonight as my flu has now turned into a chest infection and I knew if I was going to see this dream of summiting through, I had to heal my body and fast. Someone once said, “The best climber in the world is the one who’s having the most fun.” Today didn’t feel like too much fun, but I’m living my dreams and that makes it all so very worth it! Tonight I slept through the night for the first time in 48 hours. Tomorrow was going to be a brand new day. And a rest day at that.